Our catering service is a wonderful opportunity to take the Tre Posti experience to your favorite wine country venue. Our team can recommend wineries and private estates for any event. 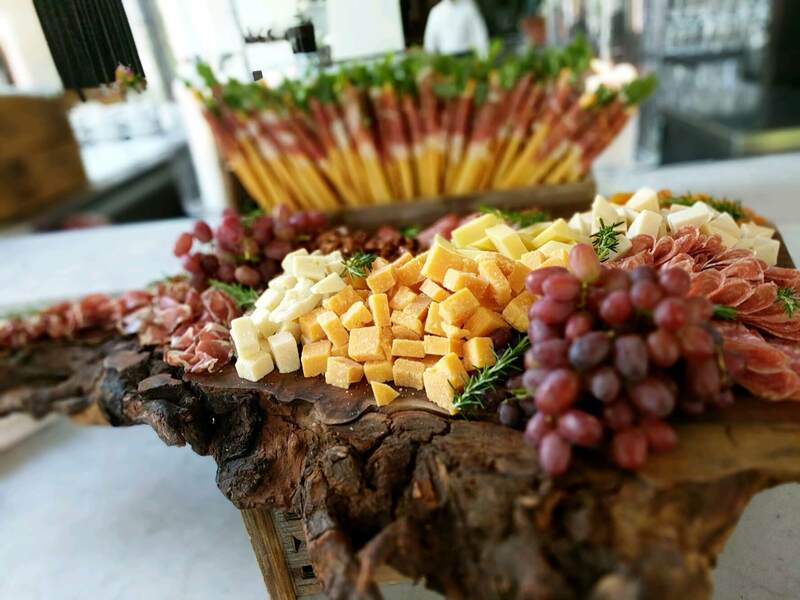 Our menus represent the marriage of two of the world’s most renowned culinary regions: Tuscany – defined by hearty pastas, meats, cheese and olive oil and Napa Valley – a destination that celebrates fresh, local ingredients with a focus on artisanal preparation designed to highlight the acclaimed Napa Valley wines. Chef Nash Cognetti has crafted menus that are a perfect balance of classic Italian and upscale Napa Valley. They are intended to allow our clients to customize the event menu to their preference. SLOW COOKED POZZI RANCH LAMB SHANK "OSSO BUCCO"
Whole Smoked Pork Loin "Prime Rib"